It’s 11:00 pm and the moon is shining brightly in the nighttime sky over the south Florida coastline. A large sea turtle races against time as she climbs the beach’s slopes to find the perfect nesting site. After an hour, she finds it and begins to dig a deep nest and lay her eggs. In the end, only one sea turtle out of a thousand hatchlings will survive to adulthood. Loggerhead sea turtles are an endangered species threatened by predators, pollution, poaching, and habitat degradation. Last year, I decided to look at sea turtle hatches because of their importance in the marine life cycle. A factor that negatively affects the sea turtle’s nesting habitat is beach erosion. Beach nourishment is a short-term solution to beach erosion where sand is brought in from another area, such as a lake or ocean, and is placed on the eroded areas of the beach. Scientists have debated whether or not this foreign sand can harm the sea turtle’s habitat because it has a different grain size and shape, compaction, and moisture content. My science project was to determine if beach nourishment caused lower hatching rates for Loggerhead sea turtle eggs. My hypothesis was that beach nourishment would have a negative effect. By using sea turtle nesting data from the Broward County Sea Turtle Conservation Program, I came up with a hatching rate formula and found the hatching rates from 2009-2014. Beach nourishment began in 2011. I used statistics in order to say with 99 percent confidence that my results were not by chance or error. My results showed that the hatching rates actually increased post beach nourishment, meaning that beach nourishment did not harm the incubation of Loggerhead sea turtle eggs. 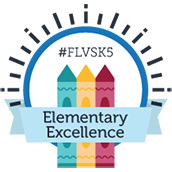 Florida Virtual School, the Dr. Nelson Ying Orange County Science Exposition, and the State Science and Engineering Fair of Florida each provided me with opportunities to share my research project and its results. At these science fairs, I was able to talk to scientists about my research and what it means for the future. I also received tips and advice to improve my current project and prepare me for future research. It was also enjoyable to see what my peers had researched. By participating in the science fair, I learned how to design and manage my own project. I also improved my communication and problem solving skills. Creating a scientific research project and participating in the science fair has made a huge impact on my life. One of my favorite quotes is by Christopher Columbus who stated, “You can never cross the ocean until you have the courage to lose sight of the shore.” When I first started looking into the science fair, I wasn’t sure what I wanted to research, but, once I figured that out, there was no stopping me. I encourage students to go out and explore their world. It might bring up an idea or give them an opportunity that allows a thought to become a hypothesis. 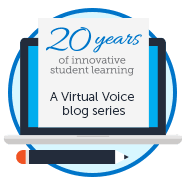 This post was written by FLVS student Jillian Hanley. Jillian won first place in zoology at the FLVS Virtual Science Fair for her project, “Effects of Beach Nourishment on Loggerhead Sea Turtle Hatching Rates.” She advanced to the Florida State Science and Engineering Fair in late March and has since received several recognitions, including a “Taking the Pulse of the Planet” award from the National Oceanic and Atmospheric Administration. Read more in the Broward and Palm Beach Sun Sentinel. 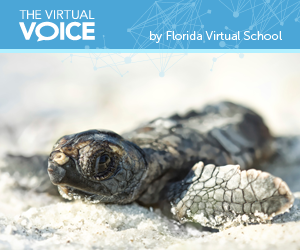 This entry was posted in Educator Edition, Full Time Edition, Homeschool Edition, Student Edition and tagged Conservation, FLVS Virtual Science Fair, Loggerhead Sea Turtles, Marine Science, Motivation, Passion Project, Research, Science Project, STEM, student projects, Student Research, Student Spotlight, Student Voice, Zoology on July 22, 2015 by Guest Blogger. Oh my gosh your such an inspiration! CONGRATULATIONS!